It's finally official, but The Big Easy, Ernie Els, has left Callaway Golf and joined Adams Golf for the 2014 PGA Tour season. He's experimented with some new equipment during last season and we guess he's finally found something he feels comfortable with. 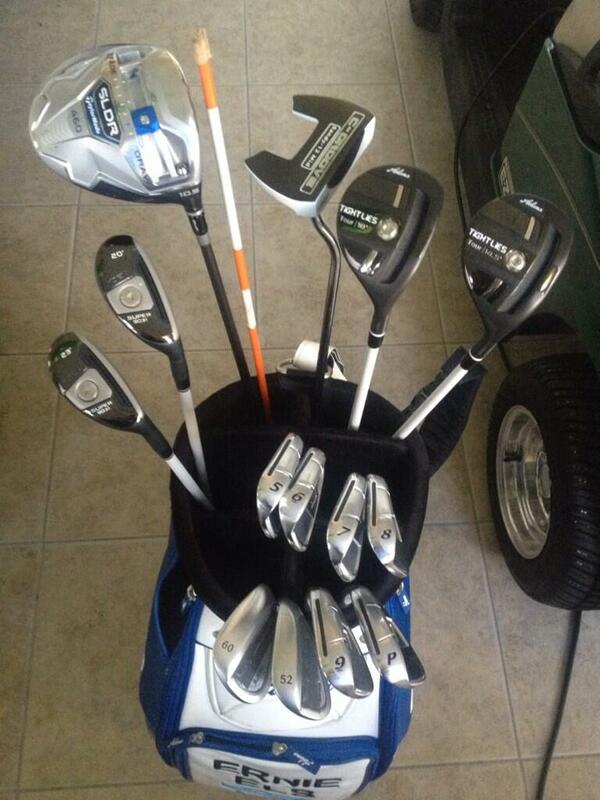 No word on exactly what he's going to play yet, but it's probably going tobe a mix of Adams and Taylormade equipment. A new year and a new chapter for Ernie Els - hope he has a great 2014! Nevertheless, i like my Adams set! Good stuff!! Easy to hit and maximum forgiveness. Much needed from a lousy golfer like myself. That's kind of surprising that - Adams Golf Clubs are pretty great, one of the guys on our team plays some of their older generation hybrids (A4 hybrids) and they're really great, you should definitely give them a try and test them out if you ever get a chance! Looks like we finally got to see what will be in Ernie's new bag for 2014 though, take a look! Welcome Big Easy to the house of Adams ! I m looking forward his play in Qatar with the new iron XTD ! Guys ..any bro know which golf shop is brining in the XTD irons ! Pls advice ! Cheers! every bit of forgiveness helps!! can't go wrong with adams hybrids!